The Makati West Rotary Club held their much awaited sculpture exhibit a few days ago at the Mandarin Oriental in Makati City. 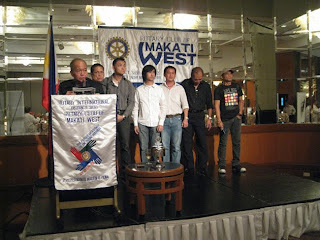 I was fortunate to be one of the artists for this event and indeed it was a very exciting night. Guests from all over the world and artists who've made a great impact on the Philippine art scene, came and mingled amongst the community. The show, entitled "Alay Sining 2" was a great success in both the art and the people involved. The Rotary club expressed that much of their earnings from the art exhibit would be used to help fund their noteworthy projects such as "Wheel Chair for Life" where the club has already given over a thousand wheelchairs to disabled people across the country. Here in this exhibit, young and old gave their best, whether you were looking at the night's esteemed singing performances, or the speakers flair and passion for their mission, or the artist's effort in expressing visual intricacy. 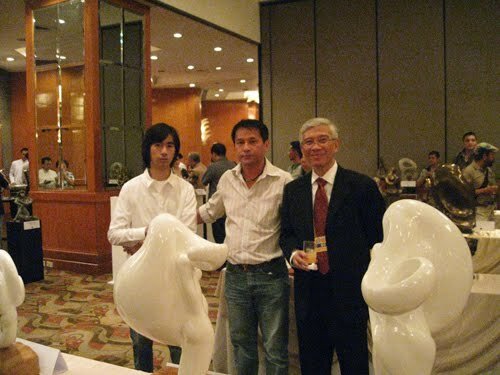 Among my fellow artists / sculptors, were Fred and Wilson Baldemor, Seb Chua (my dad), Joe Datuin, Ramon Orlina, Sajid Imao, and many more. A work by the great Napoleon Abueva entitled "Mother and Child" was also amongst the pieces that were displayed and sold during the night. Several works were bought by patrons, including two of my dad's and a few of our friends as well. My own pieces, Abundance & Aurora Australis were sold as well, with the latter being a numbered edition type, in which case two reproductions were also sold. It always brings me great joy to see the art world lend a hand for change for the community. For every piece sold, 50% of the specified price goes straight to the beneficiaries of the rotary club's noteworthy endeavors. 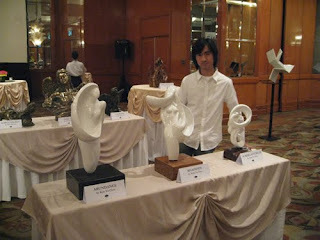 I enjoyed the evening, talking and admiring the works of many great people. In the future I do hope the club will continue this yearly event so that artists all over the country can showcase their works and at the same time help people in supporting noteworthy causes through their own talent and efforts. very creative work kylo!! Im so impressed!! keep on honing your craft as an artist. you have a very bright future ahead. Thanks much JB!! I really enjoyed the event too. 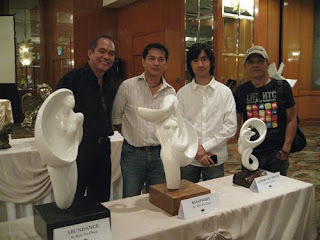 It was a great honor to participate with the event Sir Jun, thanks for giving many artists a medium to help and share their craft.